What’s a better way to say someone means so much to you than getting them the latest PlayStation 4 bundles. The prices are discounted until February 17, 2019. All PlayStation Authorized Dealers are currently offering the same discount and have begun rolling out since February 08, 2019. 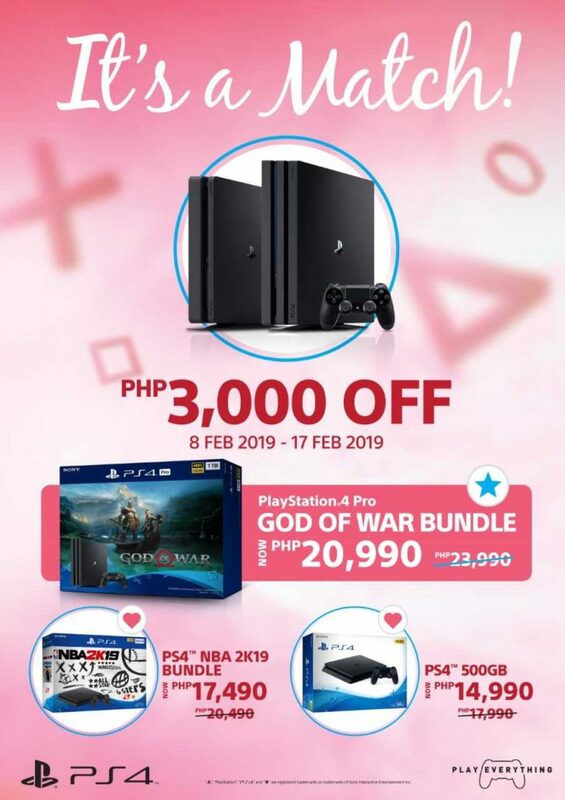 PlayStation Authorized Dealers in the country are offering the discount. In the Philippines, dealers such as DataBlitz have already begun rolling out the promotional bundles.